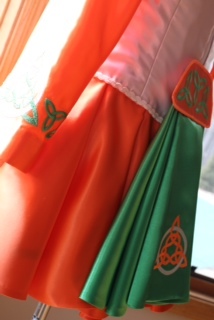 Sterling Kirk #1305 – “Tribute to Ireland” $800.00 This BRAND NEW dress proudly displays the colors of Ireland’s flag in a very simply stated and sleek new design. This skirt resembles the appearance of the traditional three panel boarded skirt with all the modern comforts of today’s popular soft skirt. 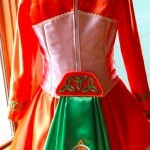 Beneath the pleated orange skirt is a full white petticoat trimmed in green. 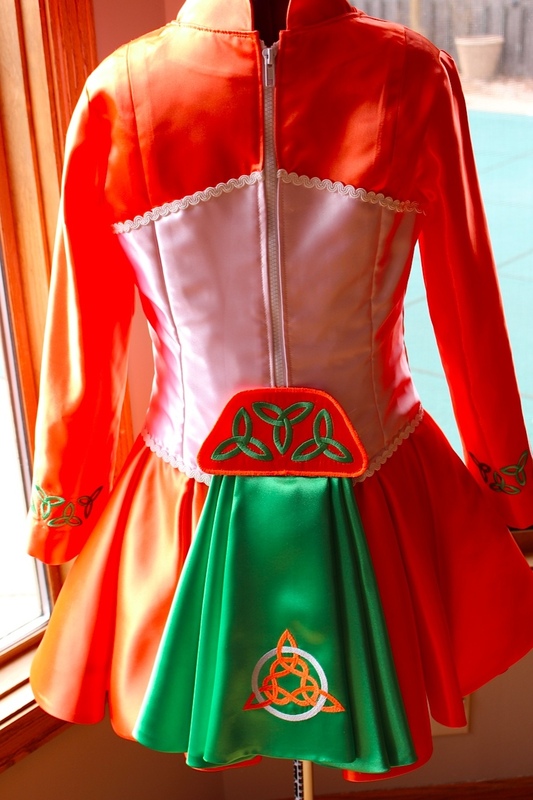 This dress is crystal free to qualify for the U8/U9 Mid-America Oireachtas regulations. Crystals could easily be added if desired. 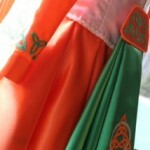 Visit www.SterlingKirk.com for more pictures and shipping/return information. 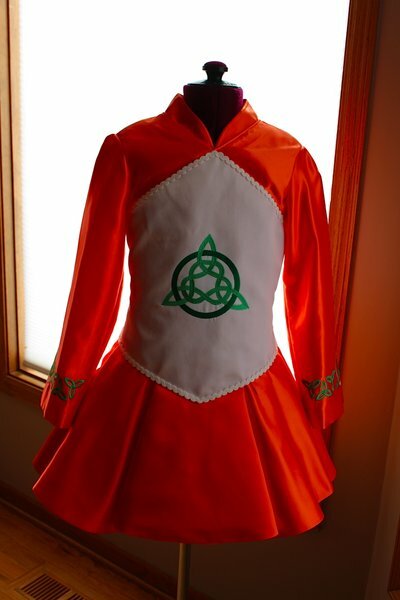 There is room for let out at the waist and sleeves.